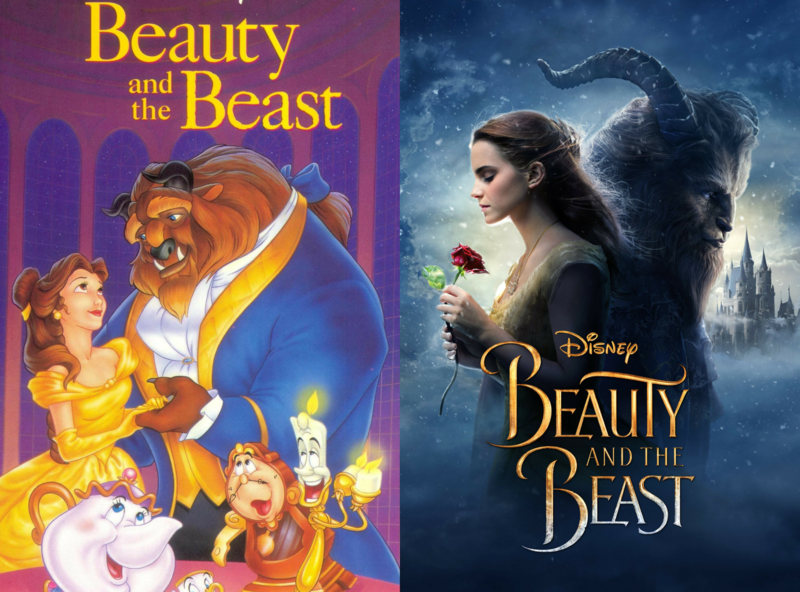 In recent years there have been some pretty amazing live-action remakes of your favourite animated Disney movies, and there’s even more to come! 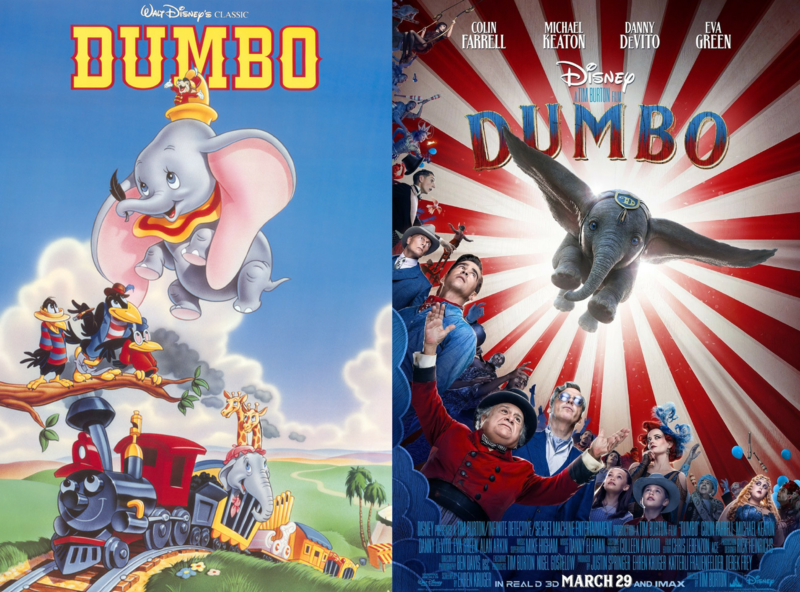 Dumbo has just hit cinemas, and later in the year we will see a Maleficent sequel, as well as Aladdin and The Lion King. Also in the works are remakes of Lady & The Tramp, Snow White, Mulan, Pinocchio, Peter Pan, The Hunchback of Notre Dame, Lilo & Stitch, The Sword In The Stone and The Little Mermaid - fingers crossed it’s starring Lindsay Lohan. 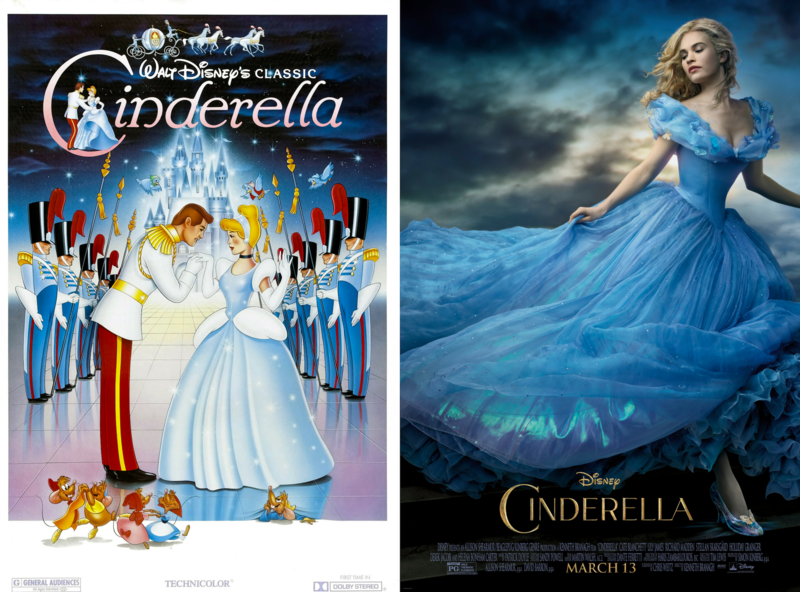 We also know that Disney is currently working on a sequel to The Jungle Book, a Cinderella spin-off titled Charming, a 101 Dalmatians spin-off focusing on Cruella’s origin story starring Emma Stone, and a Tinker Bell live-action film starring Rhese Witherspoon. Wow, that’s a lot to take in. 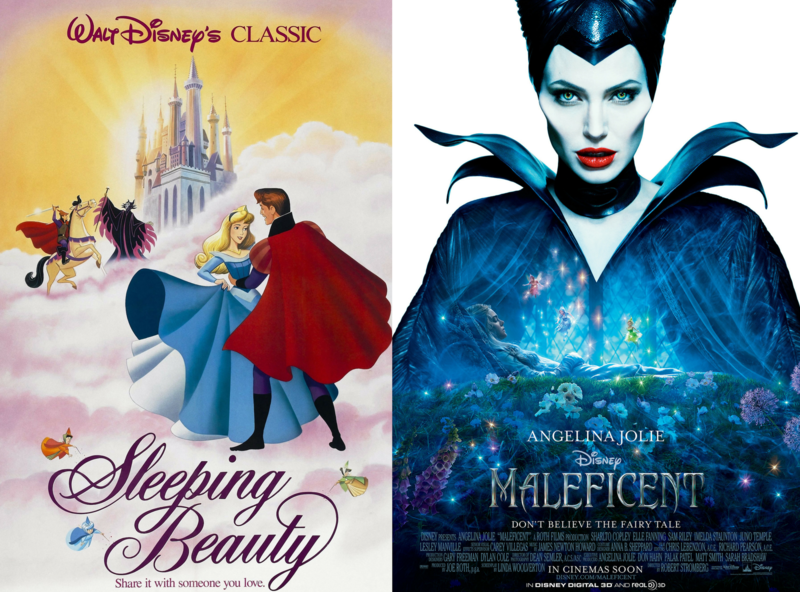 While we wait for Disney to release these films (as well as announce plans to remake Hercules - we’re waiting! 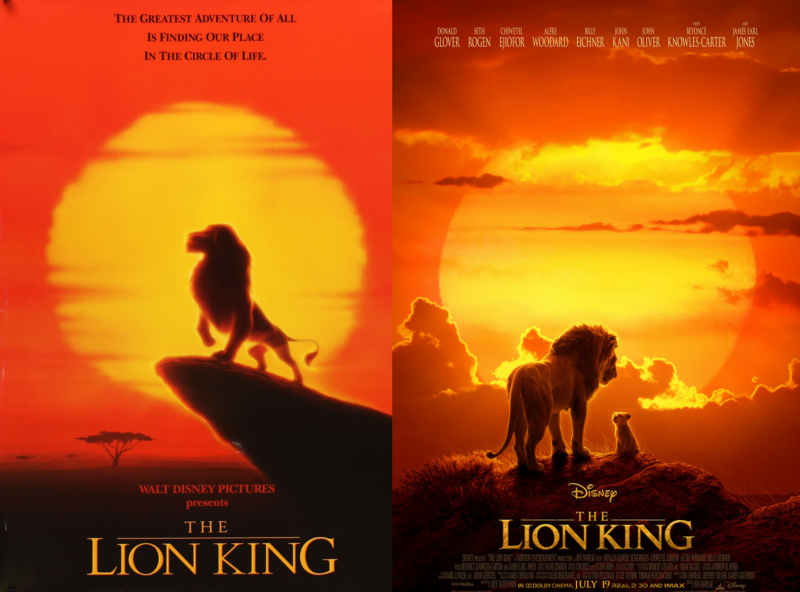 ), here’s a look at classic Disney movie posters alongside their modern adaptations. Emma Watson as Belle and LeFou as Disney’s first LGBT character? Amazing. Cate Blanchett deserved all the awards for her performance as the stepmother. 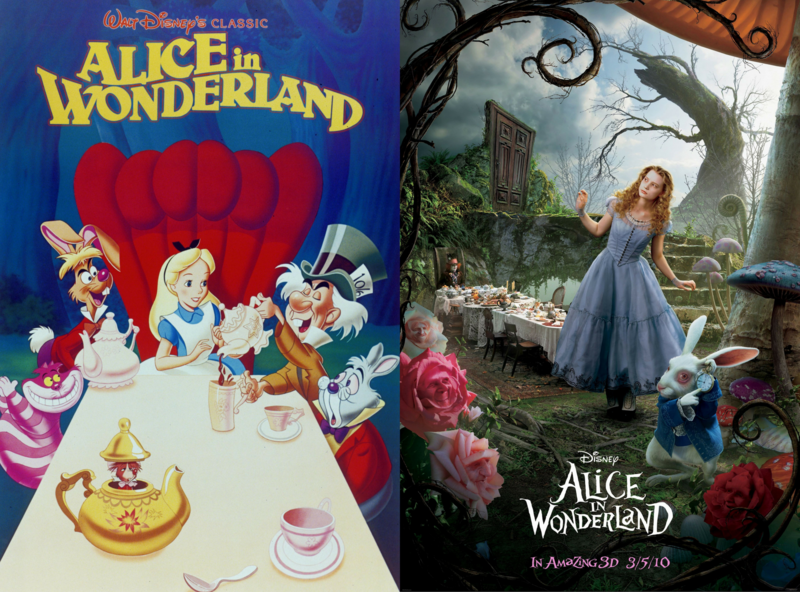 Tim Burton’s adaptation of the classic Disney film was both creepy and incredible. 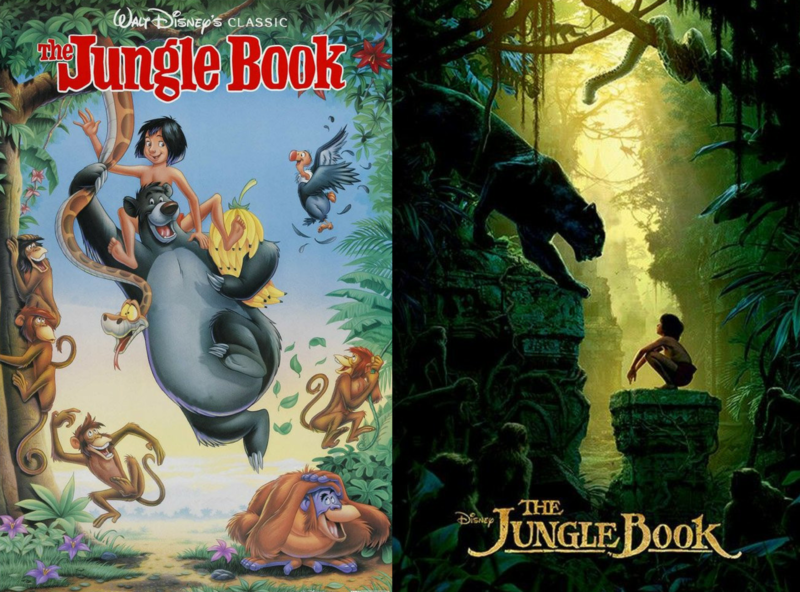 The second live-action Jungle Book film deservedly won Best Visual Effects at the Academy Awards. Maleficent portrayed the original story from the villain’s perspective and it’s incredible. 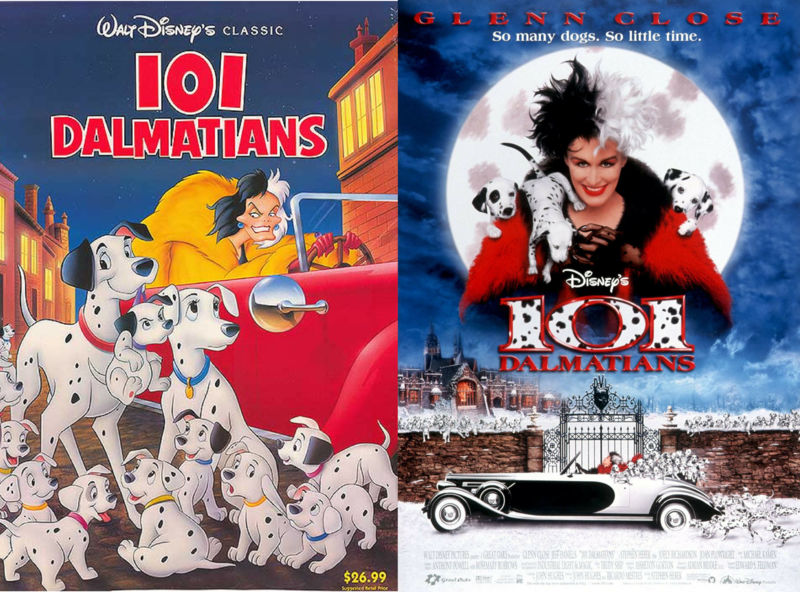 While we’re excited for Emma Stone’s portrayal as Cruella De Vil, Glenn Close set the bar pretty high in this OG live-action remake. It’s directed by Tim Burton, so you just KNOW that it’s good. Plus it’s a BABY ELEPHANT! 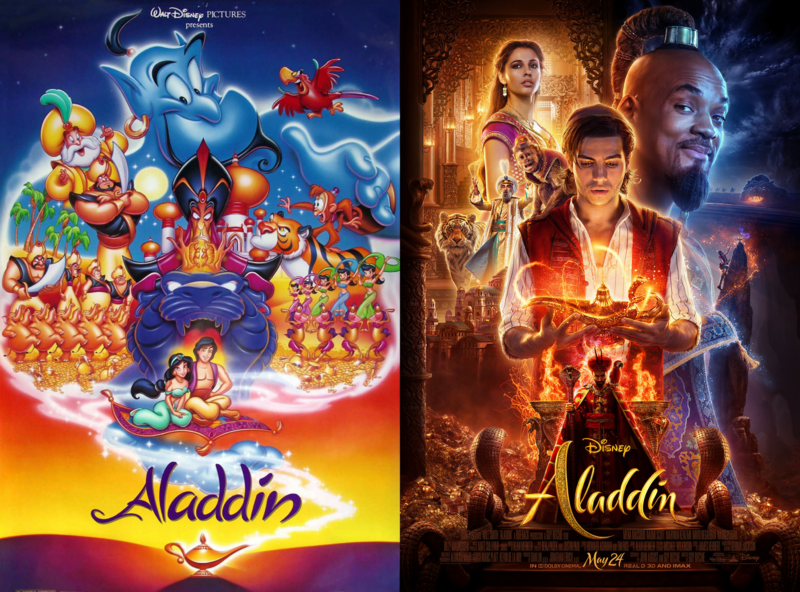 We didn’t expect Will Smith as Genie, but it’s perfect. With an all-star cast and reports that Beyoncé’s voice will you make you cry, we can pretty much say that this will be the movie of the year.